Revive and foster a craft that has existed for centuries. 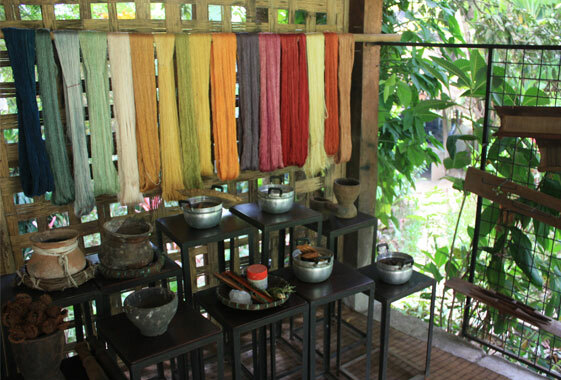 All our textiles from Laos are hand woven in a workshop in Vientiane. The story of this workshop co operative is truly inspirational. It was established in 2004 by a Laos woman and an Australian/Laos woman who came to Australia as a child, before returning in 2001. The focus was two fold, to revive and foster a craft that has existed for centuries, and also to teach young women, mainly from ethnic minority hill tribes to weave – thus providing them with a means to support themselves and their siblings. An exquisitely fine and intricately woven Obi made for a highend Japanese boutique. 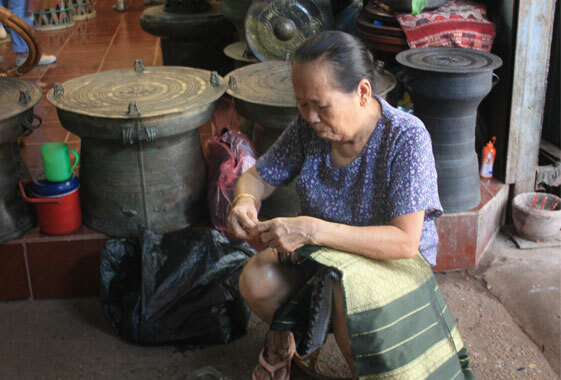 Over 70 different ethnic groups exist in South East Asia and each one has their own distinct traditional weaving technique. 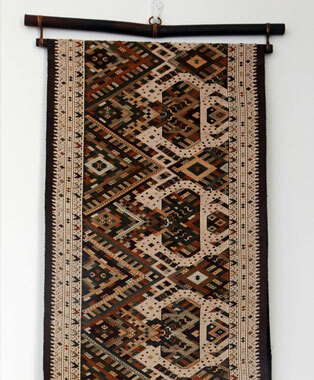 The fusing of these traditional techniques and motifs with contemporary design concepts allows each weaver to become part of the story behind their creation. 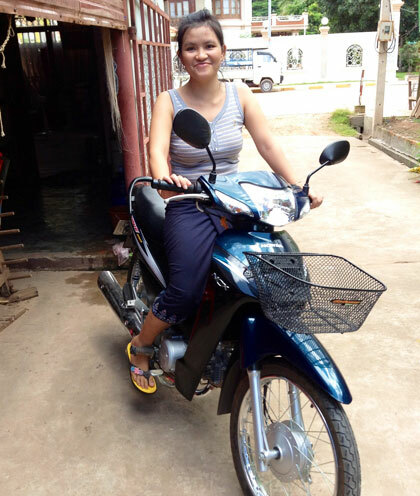 Vinh with the scooter she bought for herslf with her earnings as a master weaver. AFTER she paid for her bother snd sister to go to school and college!. The sale of these exquisite works of art allows us to enhance the lives of these gifted artisans through fair wages and education, but most importantly, through individual creativity. Pieces are chosen for their appeal and for their historical, local or traditional significance, with an emphasis on products that are ethically and ecologically produced. 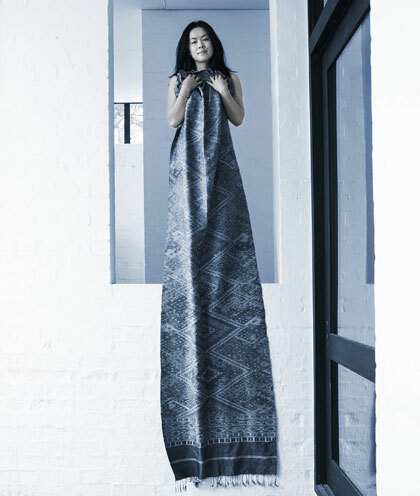 Samorn Sanixay co founder of Eastern Weft with a stunning woven shawl.